Read about Race Results and other stories about the team. 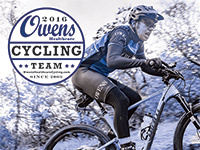 The Owens Healthcare Cycling Team, based in Redding, California, is an amateur cycling team that competes regionally throughout California and the Western states. The team competes primarily in road races but also in cyclocross and mountain bike races. The cycling team is part of Owens Healthcare's mission to promote healthy living throughout the communities it serves. 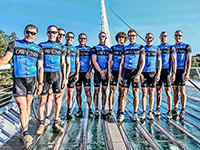 Submit your email address to receive our e-Newsletter and updates on the Owens Healthcare Cycling Team. Special thanks to our Team Sponsors.